This rare member of the Amaryllis family has a single species in its genus. 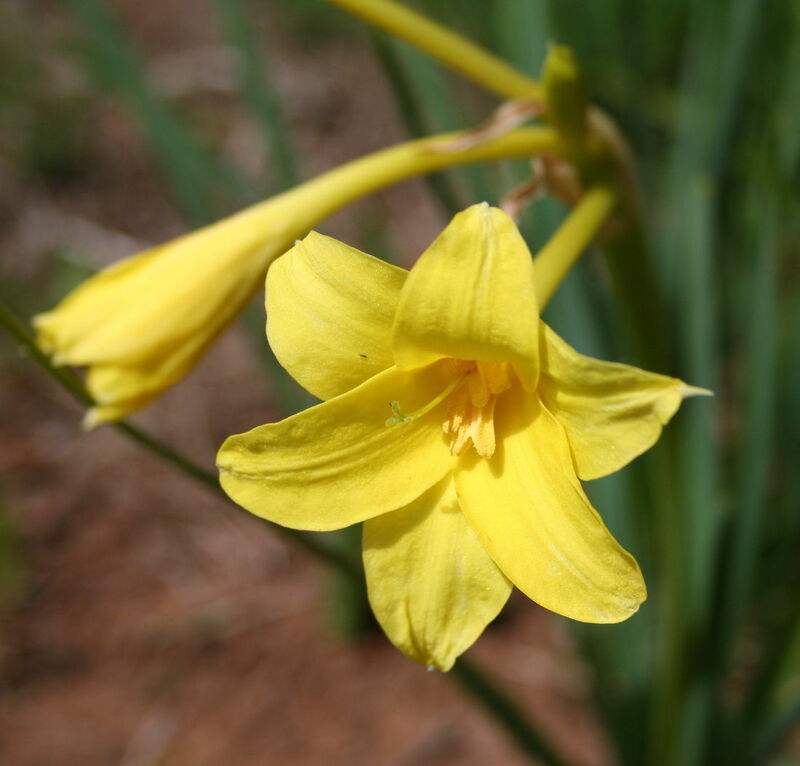 It is native to the Andes in Peru and commonly called Sea Daffodil . Requires a warm sunny position. We have found them frost hardy to -2c, as they are dormant through the Winter. Daffodil like leaves emerge in the Spring ahead of the flower. Remove old foliage at end of Winter and top dress with one of the smelly fertilisers ie. Blood and Bone. We have found this to be very drought tolerant out in open paddocks with no additional watering to our Summer rains, however will benefit from weekly water to thrive.